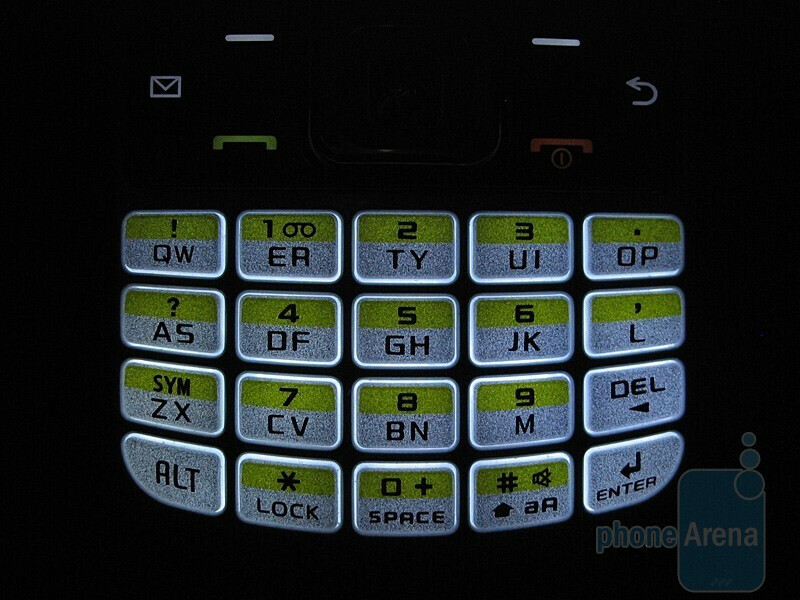 By now there have been tons of devices that sport QWERTY keyboards to satisfy the messaging needs of todays world. Whether it be a slide out, flip open, or swivel design, there are just many to choose from. 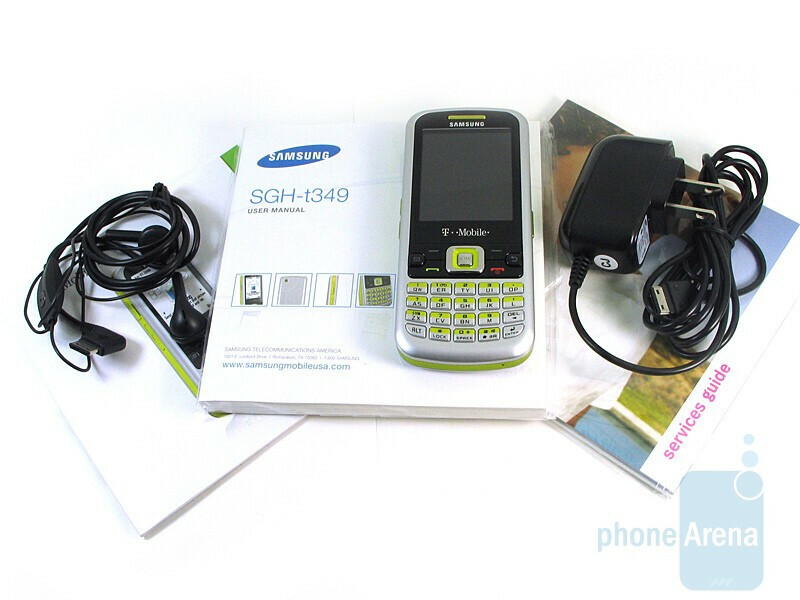 In case you want to try something different and have mastered predictive texting, the Samsung SGH-T349 may fit the bill. 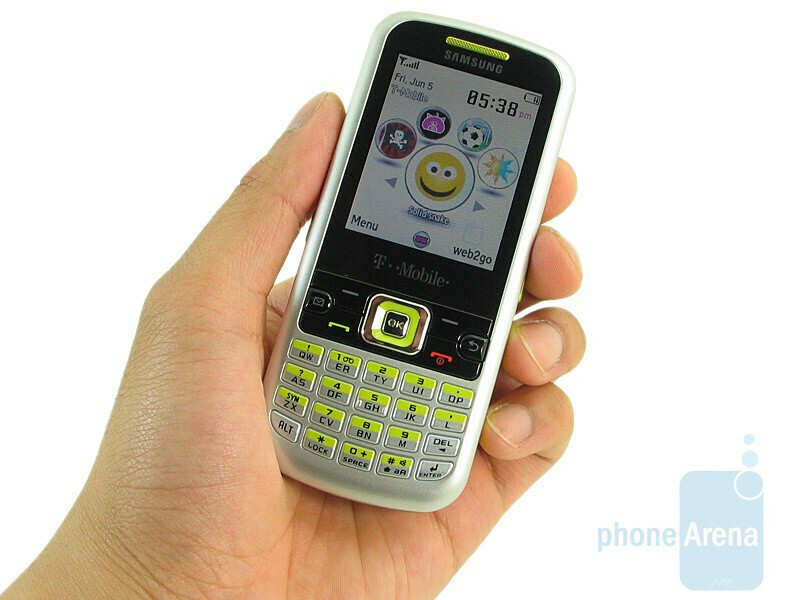 The half QWERTY candy bar phone aims to emulate the keyboard design found on RIM's BlackBerry Pearl with an emphasis on simplicity. Does it fundamentally capture the needs of quick texters out there? 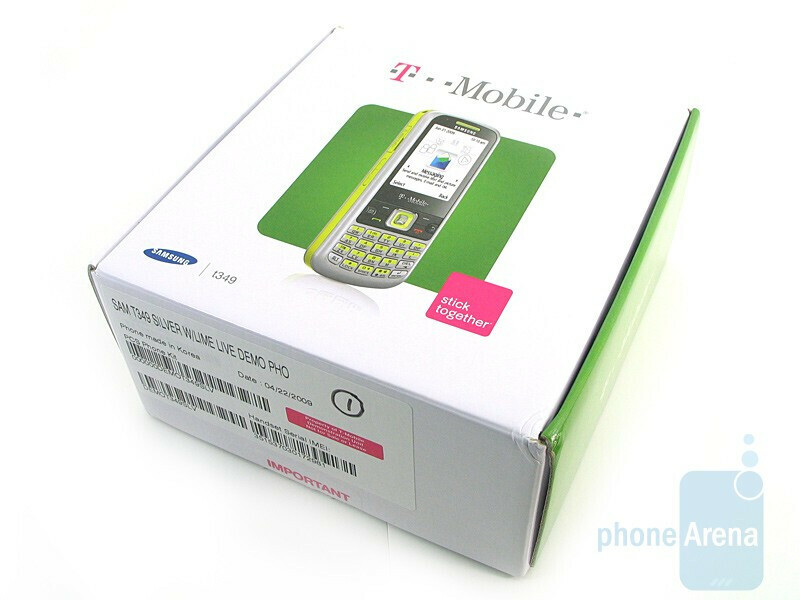 There are phones that utilize a slider or clamshell design with a half QWERTY, but the candy bar form factor is simple for the Samsung SGH-T349. The simple form factor accommodates it well with the corners rounded off. We like how the plastic material feels smooth and looks shiny; also adding an element off fashion with the back cover. The subtle use of the lime color works well with silver looking plastic body. There is no noticeable weight (3.2 oz) when you hold it and slips nonchalantly in a pocket (0.53”). Although it may look like a play toy, the construction and material is top notch. 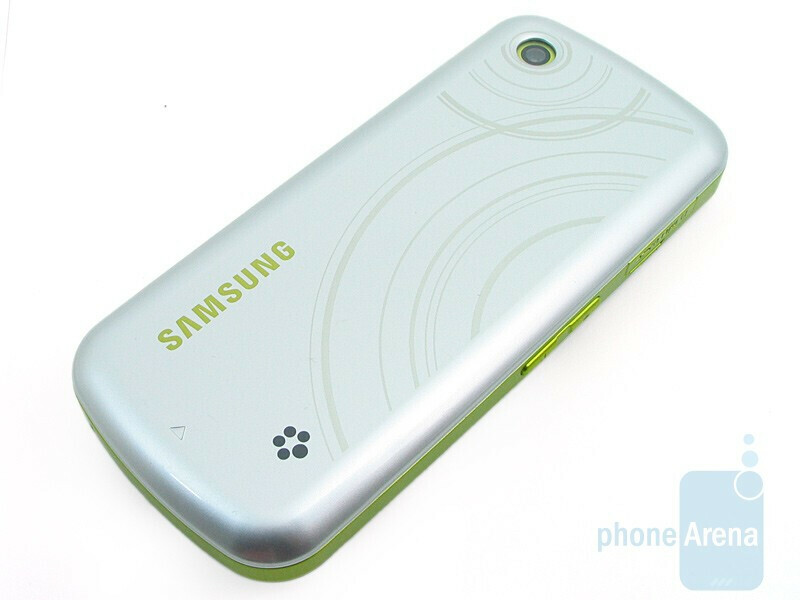 You can compare the Samsung SGH-T349 with many other phones using our Size Visualization Tool. For a candy bar phone, the Samsung T349 has a relative well sized 2.2” TFT screen. It's resolution is at 176 x 220 - which is pretty average and capable of displaying 262k colors. We didn't come across any issues reading text, although colors seemed a little washed out. Our biggest complaints are the poor viewing angles which became prominent when using it in direct sunlight. 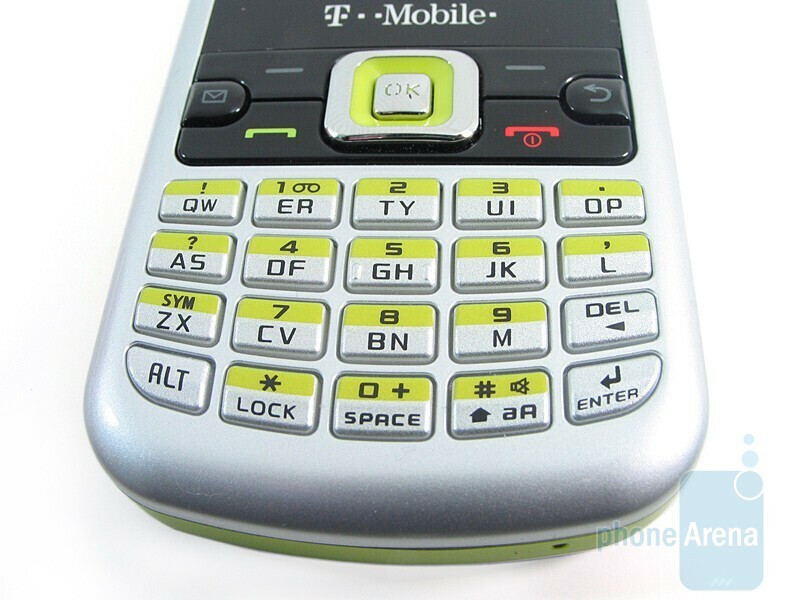 Every button found on the Samsung SGH-T349 had a really solid tactile feel – even the directional pad located below the screen. The send, end, left, and right keys are flush with the surface while the back/clear and messaging ones are raised. You can assign the messaging button to launch a specific application. Twenty extremely well sized buttons that form four rows compose the half QWERTY keyboard. They are raised, evenly spaced from one another, and actually has one of the best tactile feel. The only ones that are strictly dedicated are the alternate, enter, and delete keys – everything else will have multiple functions. To top off the great experience, the backlighting made it very easy to distinguish everything from one another. Accessing the microSD slot is done by simply removing the cover on the left edge. Although placed closer to the middle, the tiny buttons used for the volume rocker had a good feel. 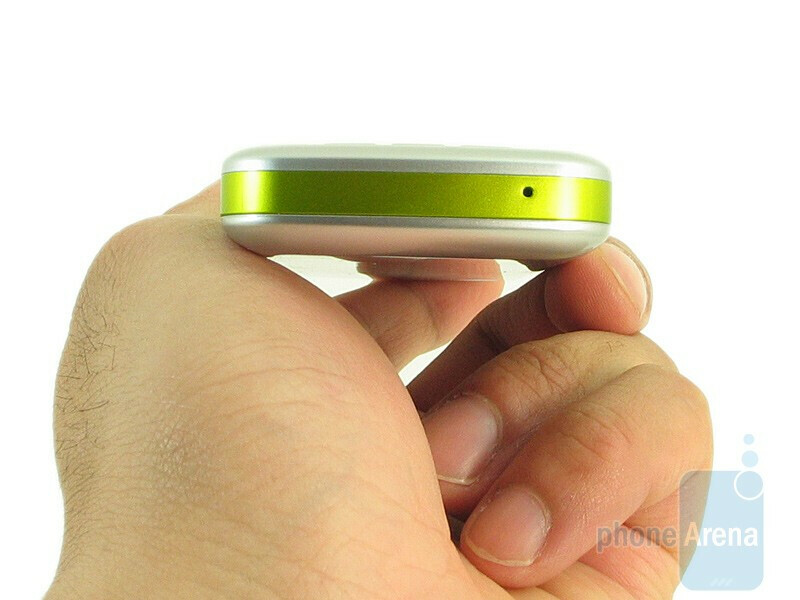 On the other side, you'll find the proprietary charging port and dedicated camera key. 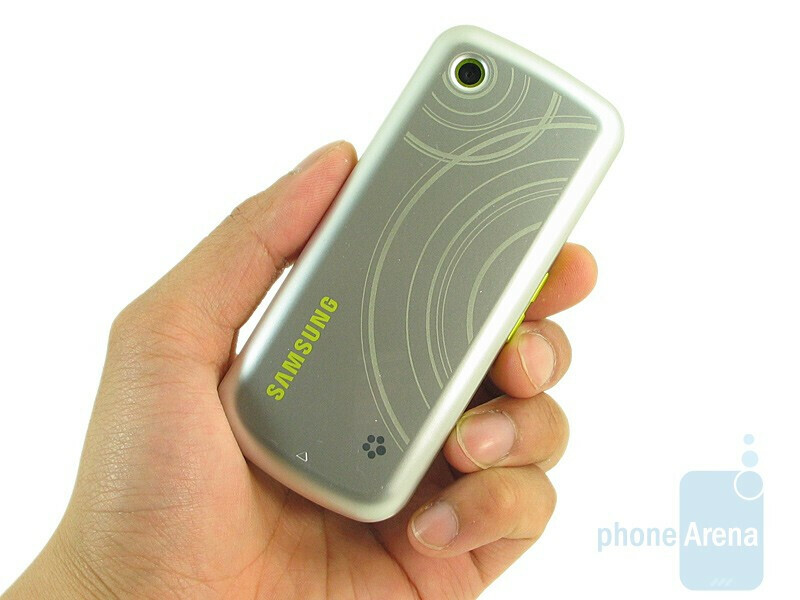 And finally, the 1.3 megapixel camera is discretely tucked away in the top right corner of the back of the phone. Removing the designed back cover will uncover the SIM card and battery slot.